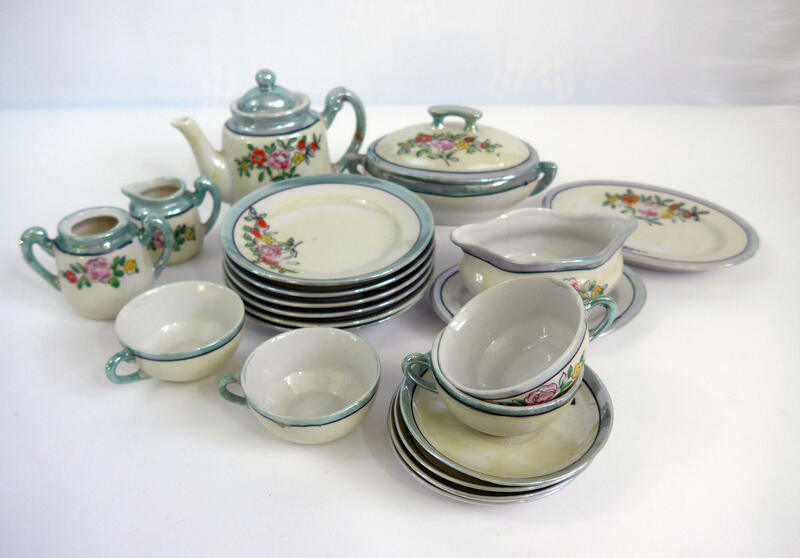 Adorable child's dish set that is lusterware. 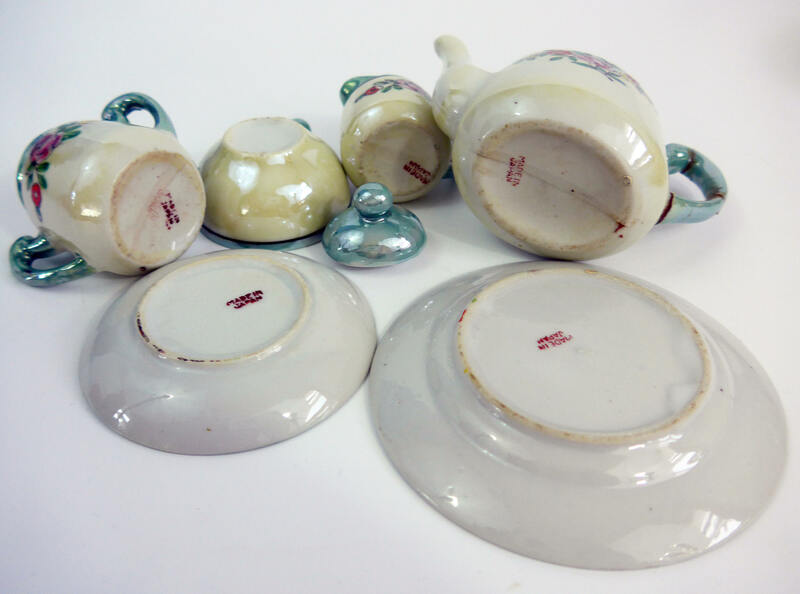 Each piece has MADE IN JAPAN stamped in red on the bottom. 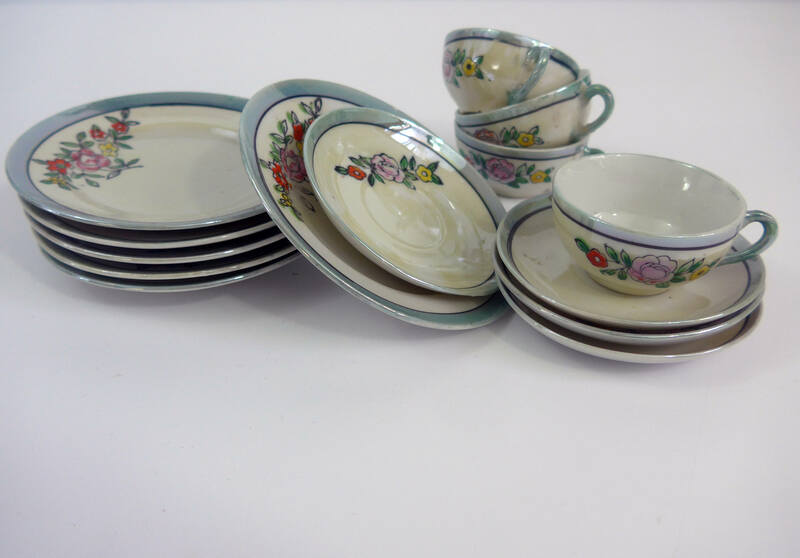 This set features an off white / greyish background with a blue/green lusterware band or rim on the outer edges. There is a dark stripe on the outer edge of all of the borders. 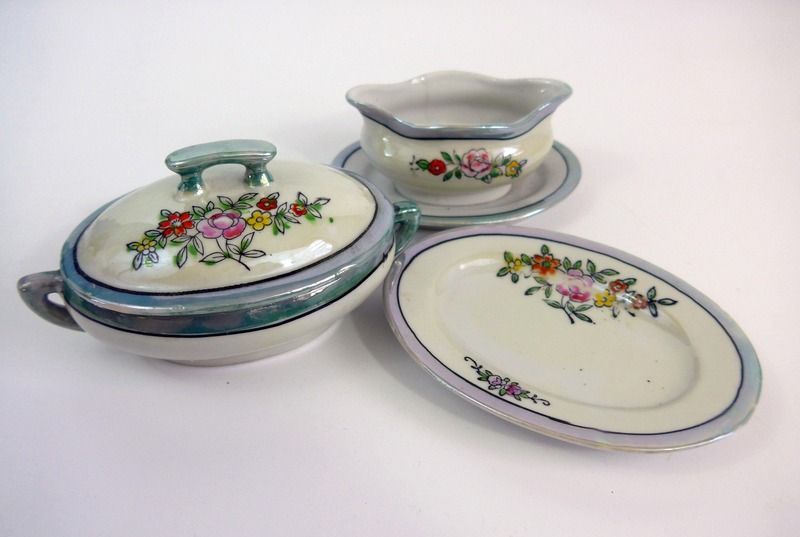 On the inside of the plates and on the outside all of the other pieces are different sized clusters of flowers with red, yellow and pink blooms and green leaves. 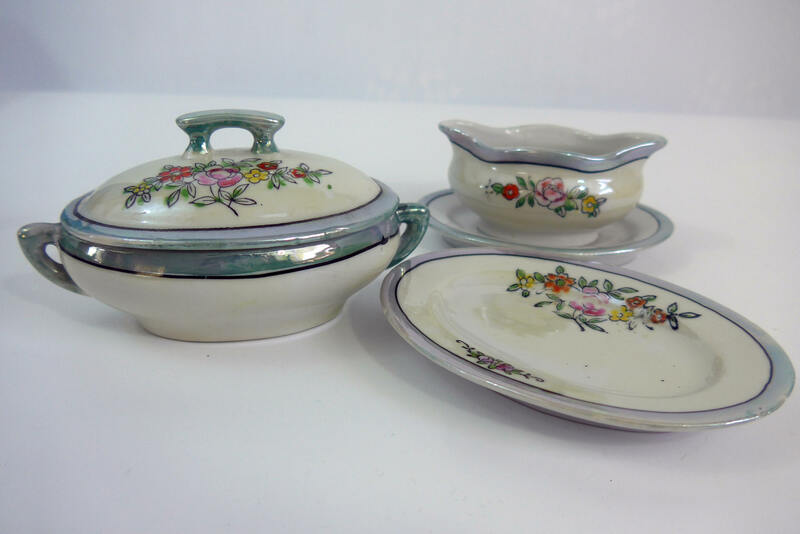 oval serving platter - 5" x 3 1/2"
gravy boat with attached under plate - 4" x 3"
The set is in nice vintage condition with wear to the paint and light chipping commensurate with its vintage age (circa 1940s) except for the teapot and one cup handle. 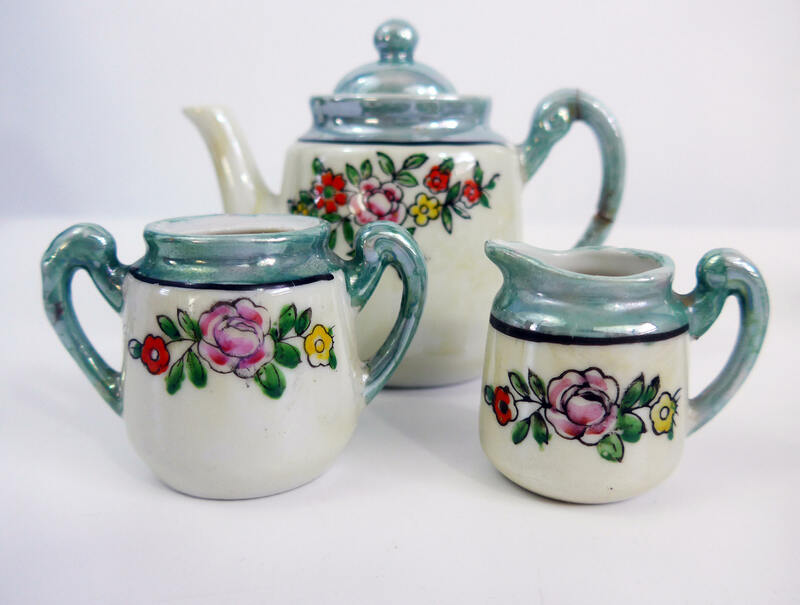 The handles must have been broken off and were glued back on. 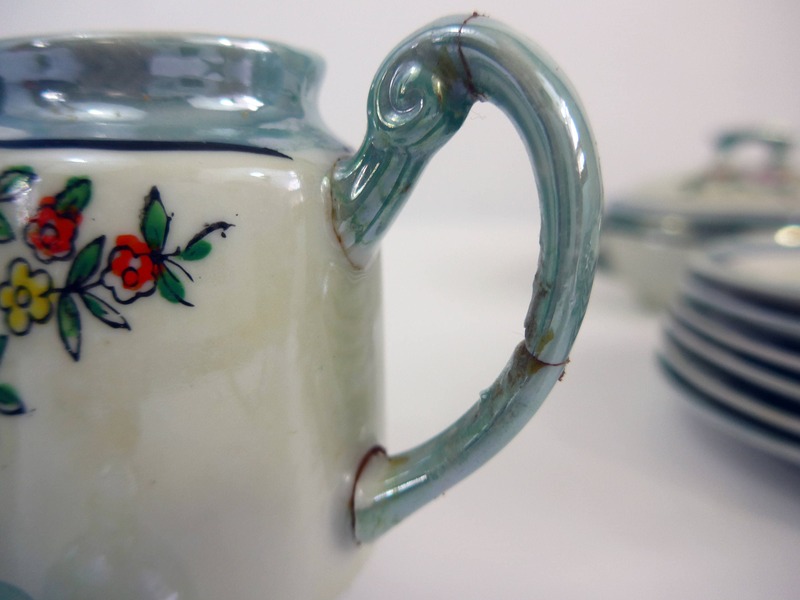 The teapot handle was glued in three places - see photo closeup for details. The cup handle was glued at the top and bottom. Item's price reflects this condition.